When Tiger Woods won his first Masters more than half his life ago, he fell into the embrace of his father Earl, because he was barely a grown man himself. When he strode off the 18th green Sunday afternoon at Augusta National Golf Club - his hair long since thinned, his life long since changed - he walked directly to his 10-year-old son, Charlie, and scooped him up. He could not hear what Charlie or his older sister Sam said, what with the din that rang through the pines. 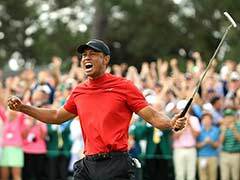 Woods completed his comeback from travails both personal and physical Sunday, winning his fifth Masters title an astonishing 14 years after last. He is 43 and has been broken in so many ways. But this hug of Charlie, the ensuing embrace of his mother Kultida and then of Sam, it was both unprecedented and pure. When Woods won his 14 previous major championships - changing golf as he did so - his son wasn't yet around; his daughter was less than a year old for the last. When he broke through for a historic 15th, they joined him, giddy, on a Sunday that reshaped golf again. That's what his victories create, unforgettable moments, and this was a new chapter in so many ways. Woods' triumph, seen over the course of four competitive days here, is simple. He shot a round of 70 Sunday that left him at 13 under par for the tournament, a stroke ahead of three younger Americans - Dustin Johnson, Xander Schauffele and Brooks Koepka - each in his prime. But nothing Woods has ever done - not 22 years ago, when he broke through with a landmark victory right here, and not now - is contained by the parameters of a single event. 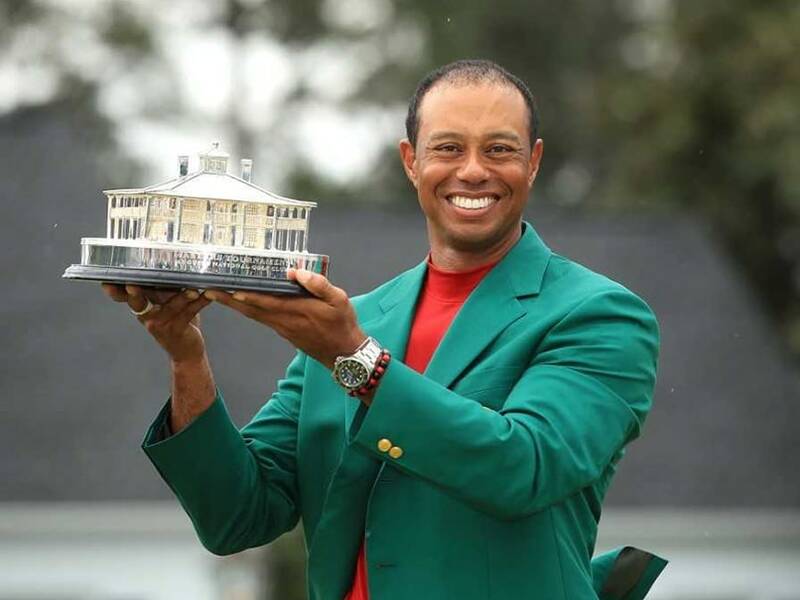 When Woods won that first Masters back in 1997, there were societal overtones, because Augusta National Golf Club once kept out players who looked like he does. By Sunday afternoon, the overtones weren't as societal. They were more personal. 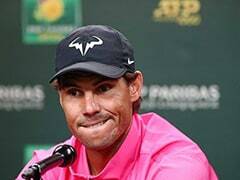 Unreal not because of how he played, which was splendidly, but because of the road - once paved smoothly, now marked with potholes - he took there. Since his most recent major championship, Woods put himself through a tawdry, public infidelity scandal that led to his divorce. His body broke down to the point where he wondered if he would ever play again. He missed nearly two full years and withdrew from tournaments as frequently as he completed them. It's not an uncommon sentiment among Woods' competitors now. As the scandal moved a decade into Woods's past, even the game's most revered figures - including Jack Nicklaus, the only player with more major championships than Woods - yearned for him to return to the pedestal he once seemed destined to occupy alone. "I don't think I ever saw excitement like that, even when Arnold (Palmer) was at his best," Nicklaus said. "Because they knew what he had gone through and how he had struggled, and everybody likes to see a man make a great comeback." The comeback was physical, to be sure. But it had to be mental and emotional as well. His broken body is what he has addressed most freely, and it may have caused him the most issues. Before Sunday, his most recent major championship came at the 2008 U.S. Open, when he famously needed 19 extra holes to beat a journeyman pro named Rocco Mediate - on a broken leg and a shredded knee. He followed that with four back surgeries. In 2016 and 2017, he didn't play in a single major. The question changed from could he win, to could he even play? The final surgery, in spring 2017, alleviated Woods' debilitating back pain. Slowly, he built himself back into competitive form. He regularly practices and plays with the cadre of PGA Tour pros who live near him in Jupiter, Florida. Those who saw him in shorts on the range back home had an inkling. In fall 2017, Rickie Fowler, a 30-year-old who aspires to win majors as Woods once did, saw glimmers in Woods' game. "Eighteen is, I think, a lot closer than people think," said Koepka, who has won three majors in the past two years and figures to be one of Woods' chief adversaries. "I would say that's probably what all fans, what we're thinking - that he's definitely back, and 18's not that far." Fifteen, though, had to come first. The tournament turned, as so many Masters have, at Augusta National's 12th hole - the shortest the course has to offer, but with a diabolical history. When Woods arrived at the 12th tee, he trailed Italy's Francesco Molinari by two shots. Molinari's tee shot landed on the embankment, bounced twice and settled back into Rae's Creek, dead. Woods found the center of the green. When he walked to the 13th tee, he was tied for the lead. The crowd wanted only one: Woods' fifth green jacket. 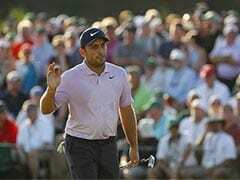 The final turn came at the par-5 15th, where Molinari again found the water and Woods made a birdie to get to 13 under. He led alone. When he stuffed his tee shot at the par-3 16th to within a foot of the hole, the spectators gathered by the massive, hand-operated scoreboard at the 17th green heard the roar - then waited, their backs turned to the hole, waiting for Woods' birdie to be posted. When the operator posted a red "14," indicating Woods' birdie and a two-shot lead with two holes to play, gallery attendees exploded as if they had seen the shot themselves. Wherever you were on the course, you knew what had happened. What he did was hug his son, then his mom, then his daughter. 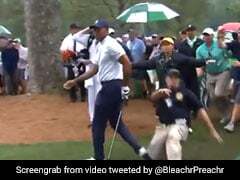 It was a measure of the moment that as Woods made his way through the throngs from the 18th green - behind the first tee and all the way to the nook of the clubhouse where players review their scorecard - all manner of competitors waited to greet him. There was not only Thomas and Fowler, straight from the generation Woods influenced, but former Masters champions Bernhard Langer, Mike Weir, Zach Johnson and Bubba Watson, all wearing their green jackets. "He just said, 'I'm not crying yet,' " Watson said. "I said, 'You will be.' "
Any tears, this time, would be not just because of who wasn't there but who was. Tiger Woods, flawed father of two, is a Masters champion again. Different than the man - the kid - who won the first time. But, now we know, maybe capable of doing it again.